Welcome to the 2015 Fall home tour! Fall is finally here, and I've been waiting. Let me tell you guys that this year is the first year I will be doing the fall home tour and it is so exciting for me. I'm not only a part of Homegoods fall home tour, I'm also a part of a group of bloggers (Bay Area Home)who will also be doing tours of their homes. The beautiful thing about it is that we all have different styles when it comes to decorating, but one thing we do have in common is our love for interior design. Everything was fairly quick with me and with not much time to do much else. But I at least want to show you the most important parts of my home and I'll show you the rest on another post. Home Depot. I love white pumpkins, they just look so elegant! A majority of things were bought at my favorite store HomeGoods including these lanterns which were originally silver. But since I love everything in gold, and I don't think I'd find them anywhere gold, I decided to spraypaint them and I love the way they turned out! 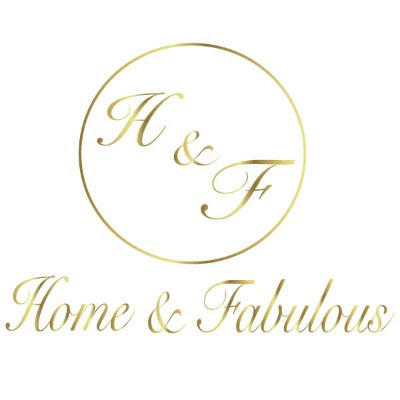 Don't forget to check out the rest of the talented Bay Area Home Ladies' blogs! Their houses are to die for! We recently got together to meet for the first time and they are all amazing ladies. I recommend stopping by their blogs and checking out their instagrams for more decor inspiration. Just as I thought! Gorgeous! Everything is stunning!! Beautiful design and style! We are in LOVE with your pillows too!!! Where are the black and white curtains in your living room from? I've been looking for something similar! What color is that dark gray with the gorgeous white mirror? Pls give the name of the gray and the paint company. Thank you! They say that mother should only stay at home and look for the kids but nowadays mothers are also working. What paint colors and brands are these? Hiring this home Inspector was the best money I ever invested. The Inspection COU of Miami was extremely through and very helpful. I would never consider buying another home without and Inspection!! I would highly recommend this individual to perform any Home Inspection. Please tell me where I can but that gorgeous table! Could you please tell me the names and brand of the paint colors you used?? They're amazing! I love them!!! I am really surprised how great services they offer at very affordable prices! Such amazing setup for termites problem! I would like to recommend Delaware Pest Services to everyone! I was surfing through the internet to get the fine idea for my problem and instead of fine I got the finest though! Check out flood removal port st lucie for all the latest options and the best crew for help as well! Can you pls tell me the specific name and brand of paint you used on the gray colored wall with white mirror and the paint you used on the lighter gray colored wall? Thank you! Thanks for posting awesome post bro..
Everything is beautiful! Where did you get the white mirror? Digital marketing Institute offers advanced digital marketing course in Noida, Delhi. We offers SEO, SMO, PPC with live projects by Google Certified Trainers create e-commerce website with us. Everything is shocking!! Delightful plan and style! We are in LOVE with your pads as well!!! Thanks for contributing your important time to post such an interesting & useful collection. It would be knowledgeable & resources are always of great need to everyone. Adding tile to floors, dividers, or backsplash can truly upgrade the restroom's appearance. Your article is wonderful, very interesting, see me make a person very happy, know a lot, I hope you can out better work! I never read such beautiful article before. This article is very unique and full of surprise. I never read this kind of article that is straight forward when regarding to the topic. Very intense kind of writing. Keep up the good and unique article writing. Your articles are far more than wow! You made some good points there. I did a search on the topic and found most people will agree with. Really very cool site of blogs. You can imagine what you have done for me. I could never image Pumpkin can be a home decor thing. Great Post, thanks for sharing. The question is how to choose an email address that matches your personality professionally and personally. I absolutely love this home style, pretty bling bling but I think it looks great, brilliant pics! Check out my blog here if you have time. For a post tensioned member. and Tendon profile (shape and drape). which have a ramp on one side and a level floor on the other side. less material means. Most amazing post you have here.